Harker’s National Economics Challenge team has ranked in the top eight in the nation and qualified for a trip to New York City for this year’s national finals! 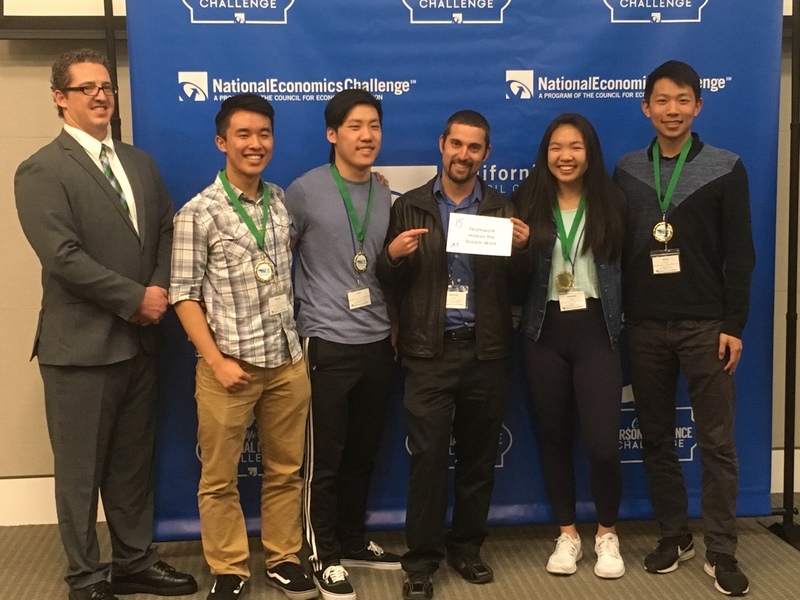 The team of seniors Jerry Chen, Melissa Kwan, Jimmy Lin and Justin Xie took first place last month at the Northern California finals, held at the San Francisco Federal Reserve (pictured). At the national finals, to be held May 19-21, the students will take a six-part exam that tests their knowledge of microeconomics, macroeconomics, current events and other relevant topics. Best of luck!